EvolveSPM, an eminent provider of Sales Performance Management and Compensation solutions, and Dynamic Healthcare Systems, a leading provider of enterprise-wide solutions for health plans and health systems participating in Medicare Advantage, Medicaid, and Marketplace programs, today announced they have entered into a partnership to strengthen health plans in handling their Medicare Advantage enrollment processing. The combined EvolveSPM and Dynamic solution offers Medicare Advantage Organizations a seamlessly integrated solution to track their brokers’ sales performance and compensation tied to the annual processing of Medicare Advantage elections. “We selected Dynamic as our partner due to their market leading comprehensive suite of Medicare Advantage solutions,” said Sundar Ramayya, Chief Executive Officer of EvolveSPM. “Medicare Advantage health plans will benefit tremendously from this enhanced integration of our solutions,” Mr. Ramayya added. 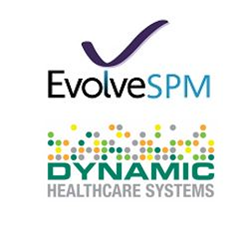 “We chose EvolveSPM as our partner due to the quality of their solutions and the strength of their position in the industry,” said Brooks Corbin, Chief Executive Officer of Dynamic Healthcare Systems. “Providing our customers with enhanced integration helps them deliver an improved customer experience, increase operational efficiency, and reduce the likelihood of errors and compliance issues,” Mr. Corbin added. EvolveSPM’s sales performance management and compensation solutions, combined with Dynamic Healthcare Systems’ enrollment and eligibility platform, helps health plans optimize their revenue, maintain compliance, and streamline their operations. EvolveSPM is for Medicare and other health plans that need to pay their agents, brokers, and internal sales representatives. By using EvolveSPM, health plans optimize their incentive compensation and marketing plans - while staying compliant with CMS government regulations. EvolveSPM includes powerful features like flexible contracts, retro-active-reconciliation, membership management, broker management, goals, goals, tiers, payment schedules, etc. EvolveSPM aggregates data from finance, sales, enrollment processing, broker relations, licensing, training, CMS and other client dependent data sources – a single data source from which complicated compensation can be managed. For more information, visit evolvespm.com or call 424.250.1810. Dynamic Healthcare Systems provides comprehensive solutions to health plans and health systems participating in Medicare Advantage, Managed Medicaid, and Marketplace programs. Dynamic’s solutions help its clients optimize revenue and quality through the utilization of Dynamic’s rich analytics that identify areas for potential improvement, help maintain compliance through ongoing enhancements aligned with CMS regulations, and enhance operational efficiency through fully integrated solution utilizing a centralized database and integrated workflows. Headquartered in Irvine, California, the company offers comprehensive software solutions, managed services, and professional services. For more information, visit dynamichealthsys.com or call 949.333.4565.